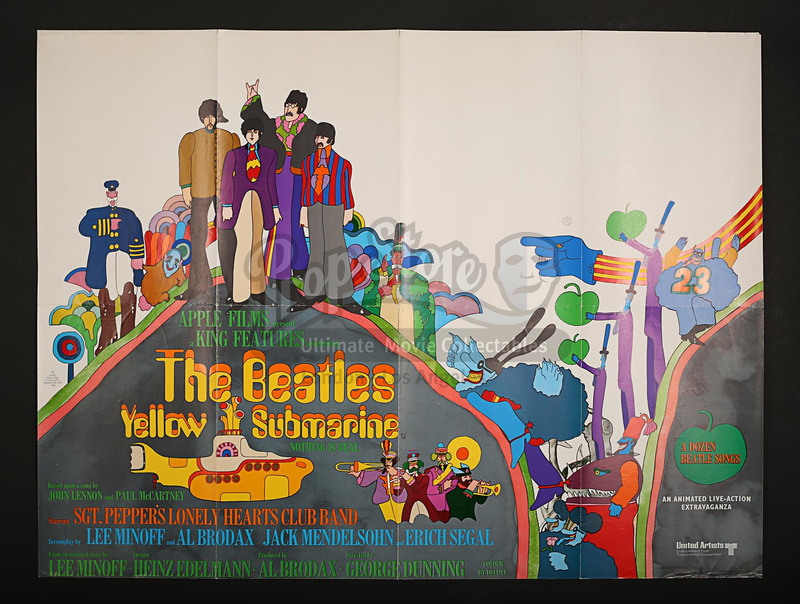 The General Release Quad poster for "Yellow Submarine" (1968). 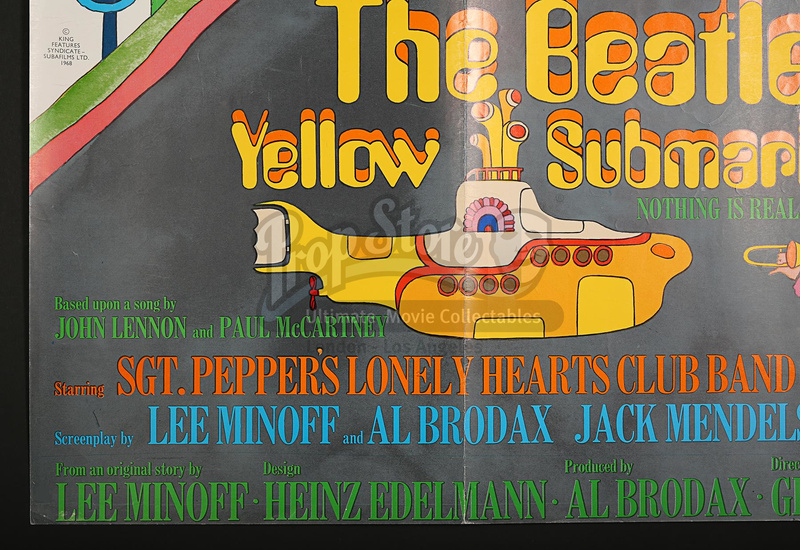 By 1967-68 The Beatles had given up touring, were involved by individual projects and distracted by hallucinogenic pursuits. 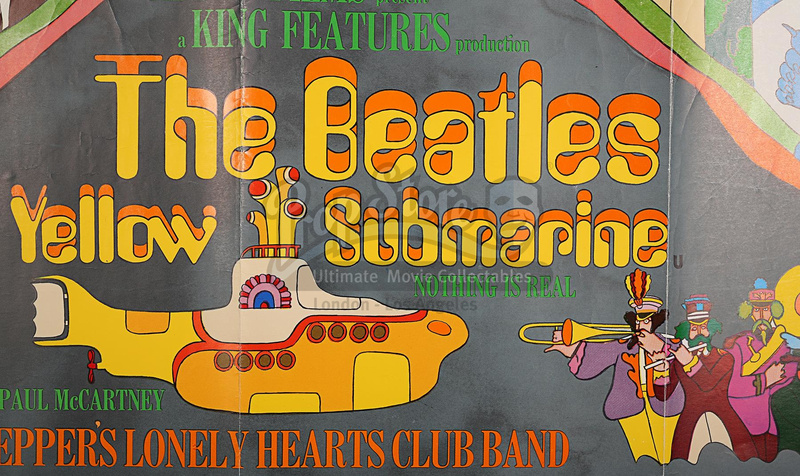 Rather than appearing in another Beatles film the band opted for this animated feature which meant that they "only" had to complete songs for the film. The full artwork Quad provides an explosion of psychedelic colour, something of a departure from the earlier Beatles film posters. 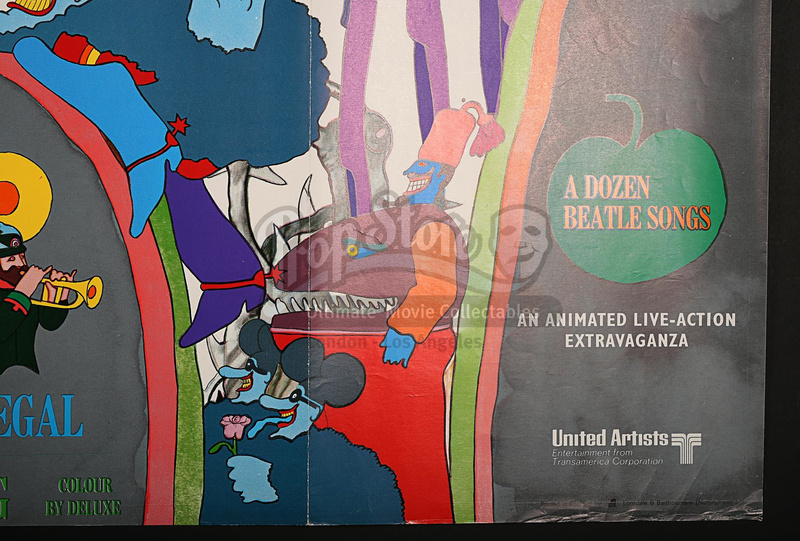 Rolled and unrestored with 3 vertical folds and one faint horizontal fold. 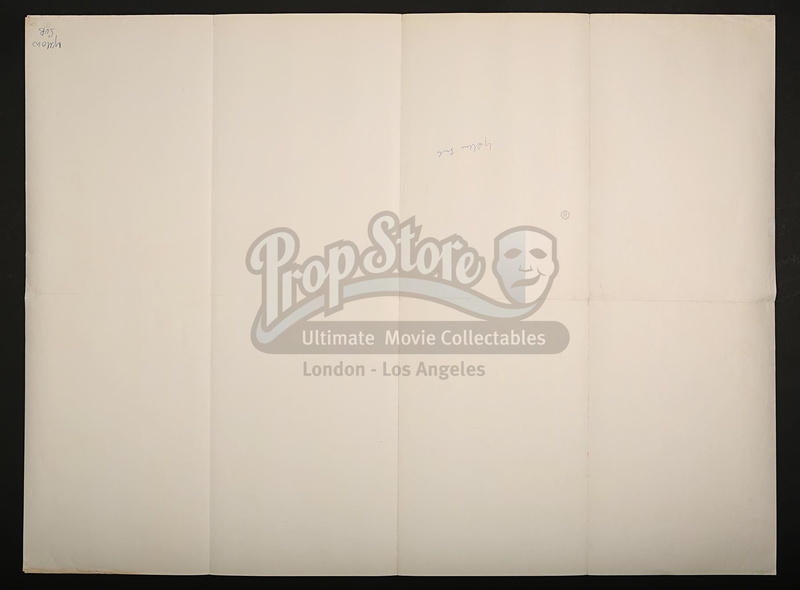 There is light foldline wear, pin-holes to corners writing to reverse top right corner (does NOT show through) and a few small edge nicks.